Keeping your natural teeth until you’re lying on your deathbed is something that very few people actually achieve, but those who do have put a ton of effort into it. Wouldn’t it be nice to not have to deal with dentures, implants, false teeth, or any restorative dentistry whatsoever? Taking the right steps to care for your mouth can pay huge dividends when you get older including living life worry free without the hassle of false teeth or needing to go to the dentist every few weeks to get your mouth checked. Preventative dentistry is all about caring today resulting in savings tomorrow. Keeping your teeth healthy today and staying on top of potential problems can save you pain, hassle, and money in the future. Ask your dentist in Port Coquitlam about preventative dentistry today! This is probably the most obvious and most important yet neglected part of “preventative dentistry”. Brushing and flossing at home twice a day removes plaque, a film-like substance that forms on your teeth. If not removed, plaque can build up and produce dental tartar, a hardened, sticky substance that can cause tooth decay, lead to gum disease, and can only be removed at the dentist’s office. Fluoride strengthens teeth and prevents tooth decay. Fluoride treatments are provided at all dental offices but fluoride is also present in tap water. However, on top of water consumption, dentists suggest that you fluoride toothpastes and rinses should be used. A balanced diet can go a long way in maintaining a healthy mouth. Foods and drinks with sugars and carbohydrates feed the bacteria that produce dental plaque. Eat plenty of calcium to decrease your risk of developing gum disease and jaw deterioration. 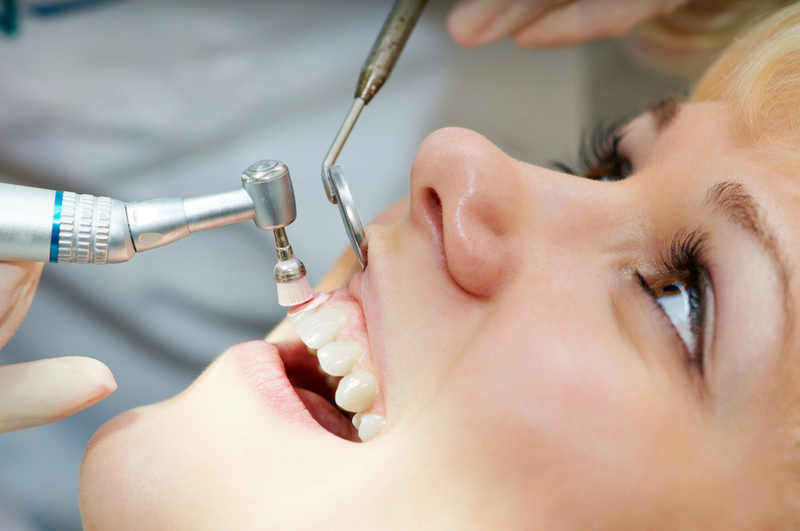 Your local Port Coquitlam dentist is your greatest ally in maintaining healthy teeth and gums. A lot of dental conditions are painless at first so if you don’t go regularly, you may not be aware of problems until they have caused significant damage. Schedule dental visits for every six months or every 3 months if you are more prone to oral diseases. Additionally, your dentist should be performing oral cancer screenings to check for signs of abnormal tissue. 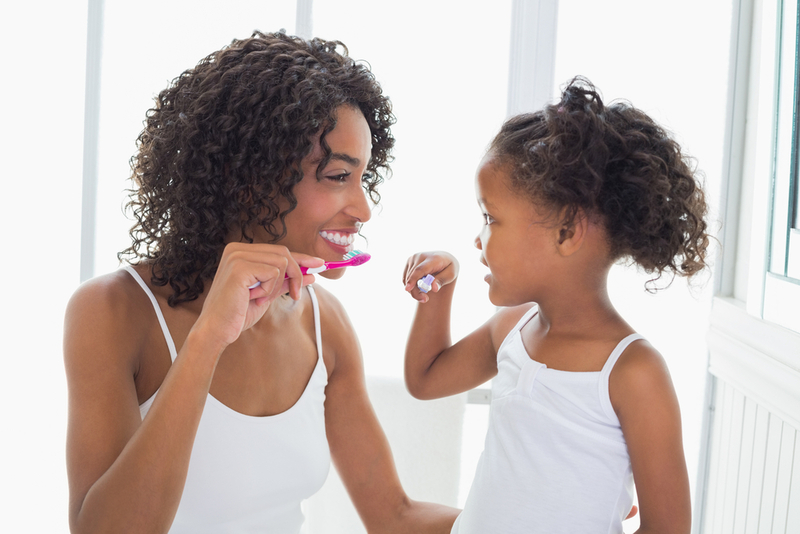 For children, regular dental visits are essential to track development and growth. Cleanings are a great way to keep your mouth healthy and disease free. Cleanings not only remove harmful plaque and tartar, but also freshen breath and even whiten your teeth! Regular cleanings are also helpful because your dentist will examine your mouth for any tooth decay. Your dentist will periodically take x-rays of your mouth to look for dental problems that are not visible to the naked eye. These types of problems include cavities in between teeth or problems below the gum line. Clenching and grinding (Bruxism) can wear down the enamel of your teeth and make them more susceptible to cavities. Bruxism may also lead to a sore jaw or bone deterioration. Wearing a custom-made night guard, the effects of bruxism can be greatly reduced. Wearing a custom-made sports mouth guard can protect against broken teeth. A bad bite can impair eating, speaking, and may result in a sore jaw or bone deterioration. Adjusting your bite can lead to a healthier mouth and a better smile! Dental sealants are thin composite coatings designed to protect your teeth from decay. Usually sealants are used on children or people with deep grooves in their teeth. Teeth also become easier to clean when sealants have been fitted.